Let's keep learning about the Integumentary System. The largest part of this system is the skin. It is the largest organ in the human body, and it makes up about 15 percent of a person's body weight. That means if a person weighs 100 pounds, their skin weighs 15 pounds! 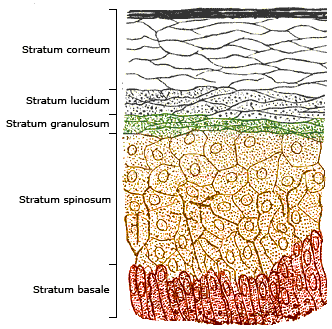 Human skin has a few layers that help protect the inside of the body from things getting in, and it can heal when it is cut.